Max 2" square. 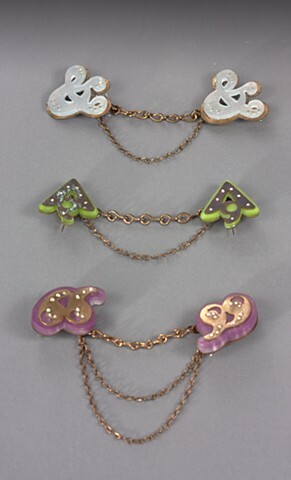 Each symbol is a pin, and two are attached together with handmade copper chains. This is a version of chatelaine.